Jibonananda Das was a poet, educator and one of the main modern Bengali poet of the twentieth century. Hehas been called "Precision poet" in Bengali language. Jibonananda is a leading pioneer of modernism in poetry in Bengali. 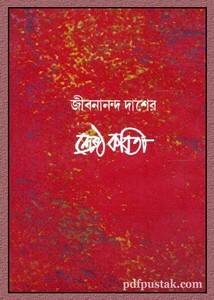 Poetry books are- Jhora Palak, Dhusar Pandulipi, Banolata Sen, Mahan Prithivi etc. Collect the ebook pdf of Jibonananda Daser Shreshtho Kobita.